The Spitzer Space Telescope (SST) is the final spacecraft in NASA's Great Observatories program—a family of four orbiting observatories each studying the universe in a different portion of the electromagnetic spectrum. This orbiting observatory—previously called the Space Infrared Telescope Facility (SIRTF)—consists of a 2.8-foot- (0.85-m-) diameter telescope and three cryogenically cooled science instruments. NASA renamed this space-based infrared telescope in honor of the U.S. astronomer Lyman Spitzer, Jr. (1914-97). 2,094-pound- (950-kg-) mass observatory traveled to an Earth-trailing heliocentric orbit. Engineers and mission planners selected this operating orbit to allow the telescope instruments to cool rapidly with a minimum expenditure of onboard cryogen. With a planned mission lifetime in excess of five years, SST has taken its place alongside NASA's other great orbiting astronomical observatories and is now collecting high-resolution infrared data that help scientists better understand how galaxies, stars, and planets form and develop. One major engineering breakthrough with the Spitzer Space Telescope was the clever choice of orbit. Instead of orbiting Earth itself, the observatory now trails behind Earth as the planet orbits the Sun. The spacecraft drifts slowly away from Earth into deep space, circling the Sun at a distance of one astronomical unit, which is the mean Earth-Sun distance of approximately 93 million miles (or 150 million km). 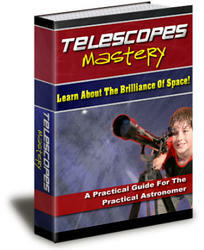 The telescope is drifting away from Earth at about 1/10th of one astronomical unit per year. This unique orbital trajectory keeps the observatory away from much of Earth's heat, which can reach -10°F (-23°C), or 250 K, for satellites and spacecraft in more conventional near-Earth orbits. The Spitzer Space Telescope operates in a more benign thermal environment for infrared telescopes—about -397°F (-238°C), or 35 K. With this innovative design approach, engineers have allowed natural radiation heat-transfer processes to the frigid deep space environment to assist in keeping the observatory properly chilled. Furthermore, the SST's Earth-trailing orbit protects the observatory from Earth's radiation belts. This significantly reduces the harmful effects of ionizing radiation on the observatory's extremely sensitive infrared radiation detectors. The infrared energy collected by the observatory is being examined and recorded by three main science instruments: an infrared array camera, an infrared spectrograph, and a multiband imaging photometer. The infrared array camera supports imaging at near- and mid-infrared wavelengths. Astronomers use this general-purpose camera for a wide variety of science research programs. The infrared spectrograph allows for both high- and low-resolution spectroscopy at mid-infrared wavelengths. Similar to an optical spectrometer, the infrared spectrograph spreads incoming infrared radiation into its constituent wavelengths. Scientists then scrutinize these infrared spectra for emission and absorption lines—the telltale fingerprints of atoms and molecules. 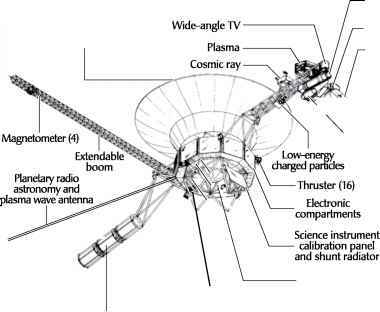 The Spitzer Space Telescope's spectrometer has no moving parts. Finally, the multiband imaging photometer provides imaging and limited spectroscopic data at far-infrared wavelengths. The only moving part in the imaging photometer is a scan mirror for mapping large areas of the sky efficiently. The Spitzer Space Telescope's powerful combination of highly sensitive detectors and long lifetime allows astronomers to view objects and phenomena that have managed to elude them when they used other observing instruments and astronomical methods. Because of its unique and efficient thermal design, the spacecraft carries only 95 gallons (360 liters) of expendable liquid helium cryogen to cool its sensitive infrared instruments. Cryogen depletion has severely limited the useful lifetime of previous infrared telescopes deployed in space. NASA mission planners estimate that Spitzer's cryogen supply is sufficient to provide cooling for the infrared observatory's instrument for about five years of operation. The observatory uses the vapor from the boil-off of its cryogen to cool the infrared telescope assembly down to its optimal operating temperature of -450°F (-268°C), or 5.5 K.
The vast majority of the telescope's observing time is available to the general scientific community through peer-reviewed proposals. The observatory's final design was driven by the goal of making major scientific contributions in the following major research areas: formation of planets and stars (including planetary debris disks and brown dwarf surveys); origin of energetic galaxies and quasars; distribution of matter and galaxies (including galactic halos and missing mass issue); and the formation and evolution of galaxies (including protogalaxies). Protoplanetary and planetary debris discs are flattened discs of dust that surround many stars. Protoplanetary discs include large amounts of gas and are presumed to be planetary systems in the making. Planetary debris discs have most of their gas depleted and represent a more mature planetary system. The remaining dust disc may include gaps indicative of fledgling planetary bodies. By observing dust discs around stars at various ages, the Spitzer Space Telescope can trace the dynamics and chemical history of evolving planetary systems and provide statistical evidence of planetary system formation. Brown dwarfs are curious infrared objects that do not possess enough mass to gravitationally contract to the point of igniting nuclear fusion reactions in their cores—in the same way that powers true stars. Astronomers consequently call brown dwarfs failed stars. Brown dwarfs are larger and warmer than the planets found in the solar system. At one point, brown dwarfs were considered just a theory, but astronomers have now begun to detect these long-sought objects. 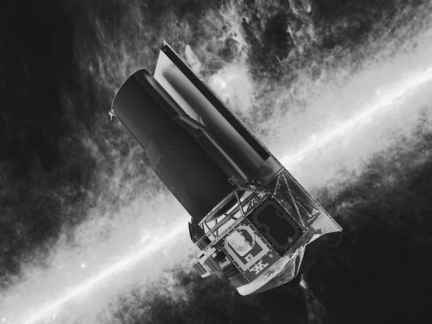 High-resolution infrared telescopes, like the Spitzer Space Telescope, play a major role in the contemporary search. If brown dwarfs prove to be numerous enough, then they may represent an appreciable fraction of the elusive dark matter or missing mass issue that is now challenging scientists. Spitzer Space Telescope can trace the origins and evolution of ultralumi-nous infrared galaxies out to cosmological distances (that is, billions of light-years away). The Spitzer Space Telescope is examining galaxies at the cosmic fringe. These objects are so remote that the radiation they once emitted has taken billions of years to reach Earth. A consequence of an expanding universe, these faraway galaxies are receding from Earth so rapidly that most of their optical and ultraviolet light has red-shifted (Doppler effect) into the infrared portion of the spectrum. The Spitzer Space Telescope is examining some of these first stars and galaxies to provide scientists with new clues into the character of the infant universe. Apart from these important research areas in astronomy, the Spitzer Space Telescope's near-infrared instrument can peer through obscuring dust, which cocoons newborn stars, both in the nearby universe and also in the center of the Milky Way galaxy. As in the past history of astronomy, whenever there is a giant leap in observational capability, like the Spitzer Space Telescope provides in infrared astronomy, there will also be a large number of astronomical surprises and serendipitous discoveries of unanticipated phenomena.